This week’s pick is Boot Jewelry! Yes…jewelry for your boots! And why not? Jazz up your boots with these really fun accessories! 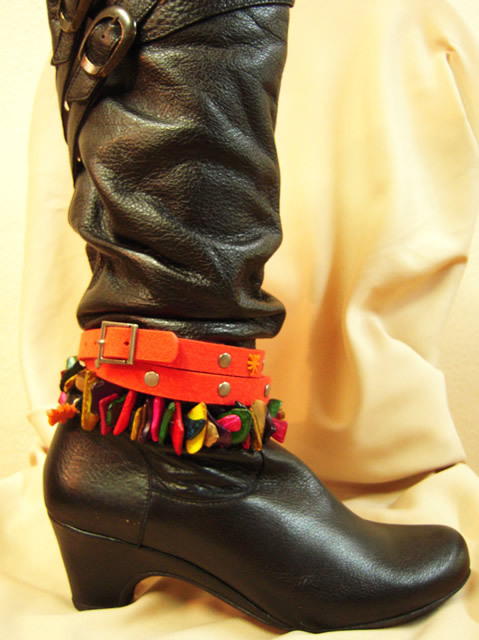 There are several choices including beaded “bracelets”, felt belts, scarves and pins…and even legwarmers! Don’t be scared…this is a fun way to add some extra interest to your outfit!